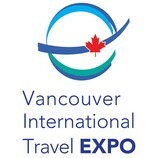 2018 marks the third year for the Vancouver International Travel Expo. The expo grew significantly in 2017 and this year, the show promises to be even better with a bigger venue and over 250 exhibitors from around the world. Learn about travel opportunities on every continent.